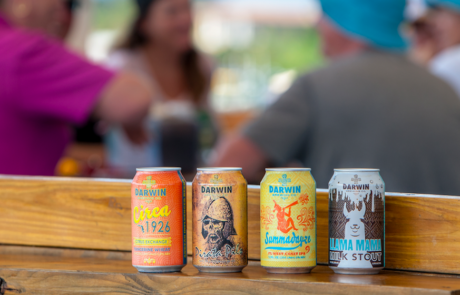 Darwin Brewing Company marks include, but are not limited to, the Darwin Brewing Company name, logos, the term “DBC” and any word, phrase, image, or other designation that identifies the source or origin of any of Darwin Brewing Company’s products. 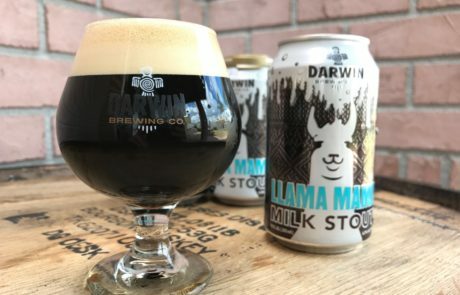 Do not modify or alter the marks or use them in a confusing way, including suggesting sponsorship or endorsement by Darwin Brewing Company, or in a way that confuses Darwin Brewing Company with another brand. Use our official and unmodified Darwin Brewing Company logo to represent Darwin Brewing Company. 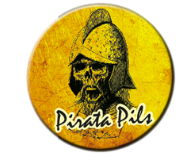 In order from left to right, the above shows the full-color logo, distressed logo, all yellow for Pirates-related communications and an all white logo (displayed on a black background). colors found on DBC’s product packaging. The display font for DBC is Turnpike, a bold and easy to read font. The accent font, used throughout DBC’s website, is Veneer and has a distressed style. The paragraph font is Roboto. 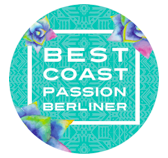 The above images were chosen from social media to display the brand’s products, location, colors and style. Packed with hoppy complexity, Supadayze is brewed with copious amounts of El Dorado and Centennial hops, and balanced by deep malt undertones. Take in the summery aromas of pear, watermelon, and citrus before sitting back and sipping this big-time DIPA… like a Summadayze but #extra. Pacific Jade hops are liberally added to this American Pale Ale over a 60-minute boil and later dry-hopped. 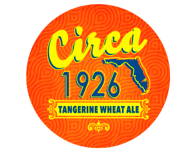 Look for a bold, herbal infusion of citrus flavors with a zip of black pepper, and an especially crisp finish. 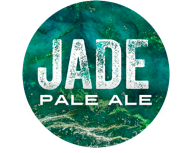 Jade Pale Ale is a Taproom star that we’re bringing to hop-lovers throughout the GCE market. 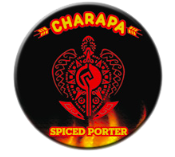 Porter brewed with Amazonian cacao (bitter chocolate), Florida orange blossom honey, and Aji Charapita pepper (a yellow pepper native to South America) that produces a subtle spice on this American Porter. A mix of dark, roasted malt rounds out the body and mouth-feel of this fine beer. 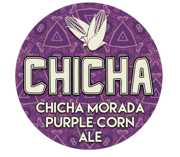 Back by popular demand, Chicha is our interpretation of the classic Peruvian brew with purple corn (making it gluten-light) and gently hopped with spicy noble hops. 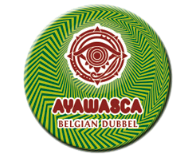 Notes of cloves and cinnamon balanced with sweet pineapple set off this medium bodied “Andean Ale”. A beautiful Amber lager with noble hops lending a pleasant, slightly spicy herbal aroma to this beer brewed in the traditional Märzen style. The head is creamy with nice density bringing out the toasted biscuity aroma from the Pilsner malt. A personal favorite of our Brewmaster, Jorge Rosabal, who notes that drinking Finchtoberfest is cheaper than a trip to Munich. Darwin Brewing Company’s Summer Seasonal, this lager is perfect for HOT weather drinking. 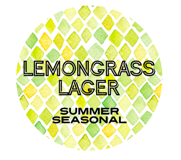 Brewed with lemongrass herb and a touch of ginger, this is a true summertime beer. A crisp, slightly-sweet finish rounds out this brew. 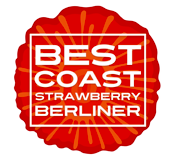 At a highly sessionable 3.2%, Best Coast is a refreshing, effervescent ale. Lightly tart with a hint of bright, sunny flavor. 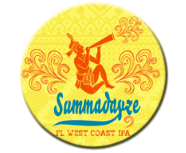 This German-style beer with Florida native flavor infusions will be released quarterly. 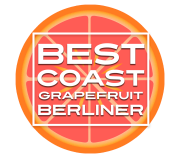 Best Coast Grapefruit is on tap for Spring 2018. 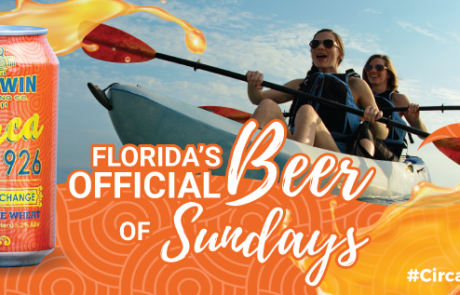 This German-style Berlinerweisse with Florida flavors comes in at a highly sessionable 3.2% ABV for a refreshing, effervescent ale. 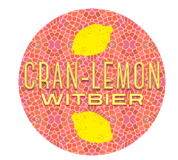 It is lightly tart with notes of passionfruit and citrus and pairs well with sunny skies, seafood, and summery salads. This bold Imperial Stout is truly a Big Deal. 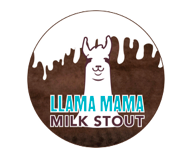 Chocolate and black malt balance out this thick, rich, creamy, chocolatey, roasty brew topped with thick brown head. An ideal winter brew. With a deep copper to brown color, Marrón (Spanish for brown) and all of its nutty goodness is a perennial DBC Taproom and Darwin Brewing Company favorite. This is a roasty, caramel-noted American Brown Ale that is drinkable all year long. Your new go-to Brown Ale. This a traditional German-style lager, is perfectly refreshing for days in the Florida sun. Hop varietals from Australia and New Zealand pack subtle fruit notes while the beer achieves balance from the sweet, bready German malts. Additional Notes: Complimentary foods: seafood, citrus flavored dishes, ceviche, light barbeque.